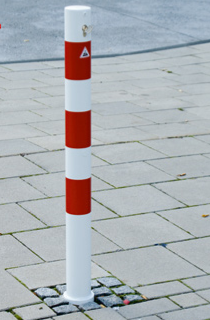 •	The post can be disconnected and moved from its position. •	It comes installed with an Euro profile cylinder lock. 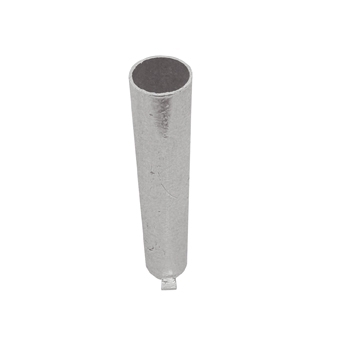 •	The alloy plating prevents rust and corrosion. •	Accessories include a clean care spray, chain eyelets, and connecting chains. •	The stainless strength adds strength and quality. 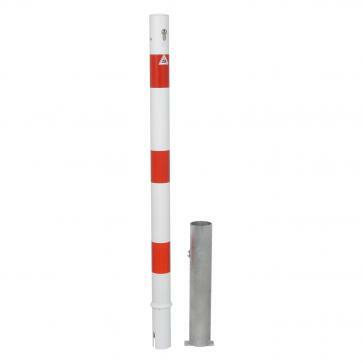 This removable barrier post comes equipped with a Euro profile cylinder self-engaging lock with three keys; it is manufactured from the finest quality stainless steel that is ground to a smooth finish. 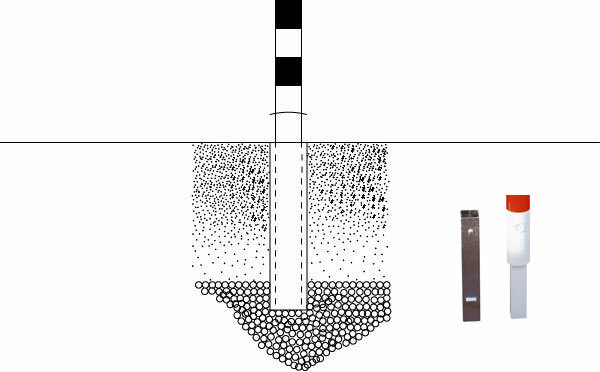 The barrier post stands 900 mm above ground in height, harnessing a convex head. The post is hot dip galvanized and can be removed from its position; it must be fixed on a ground socket. 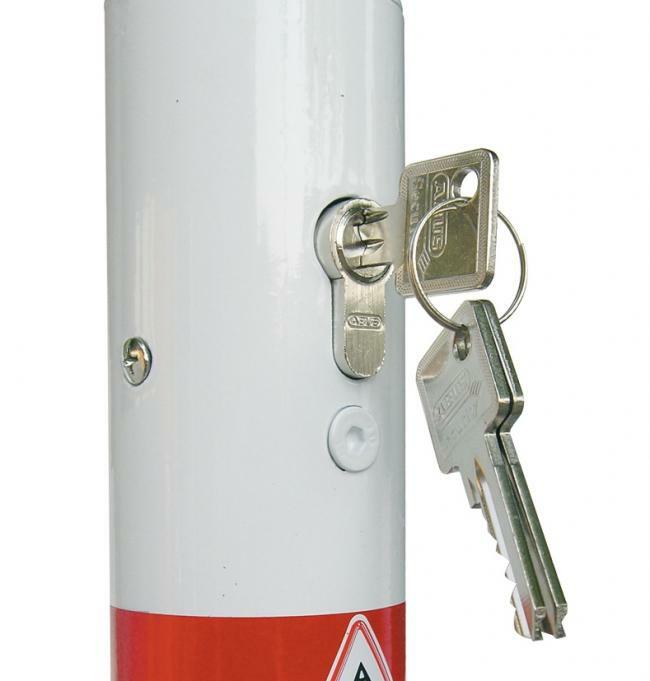 Lock with key (Euro profile cylinder) 3 keys included.